Almost anyone can learn to draw when presented with easy, step-by-step instructions. These drawings are simple to complete and include some cartoon-style projects as well as some realistic projects with more dimensionality. Instructions for the cartoon animals may be simple enough for absolute beginners or fairly young children while the others incorporate basic concepts to hone your drawing skills. 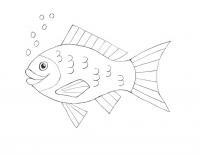 This cartoon-style fish drawing can be completed in six steps. The fish is generic enough that you can use the same techniques to create other kinds of fish, both real and imaginary. 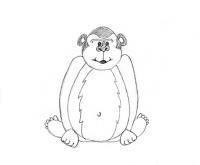 This comical cartoon gorilla can be drawn in nine steps. Broken down into simple shapes, this gorilla is simple enough that even young children will be able to complete the drawing successfully. 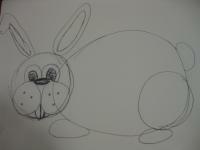 Draw a cartoon Easter bunny in just a few steps. The bunny is on all fours and is seen in profile. The bunny's face is sufficiently detailed that you can draw just a bunny head if you like. To make an Easter scene, you can add Easter eggs, grass, and a basket to your drawing. Learn how to draw a striped cat in just five steps with these instructions. The cat is seated facing the viewer. You can use these basic instructions to draw a variety of cats by changing the fur color and pattern and by changing the length of the fur. 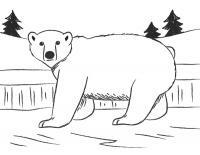 Draw an adult polar bear in a wintry setting. If you wish, you can substitute a holiday setting or place the polar bear on an iceberg. 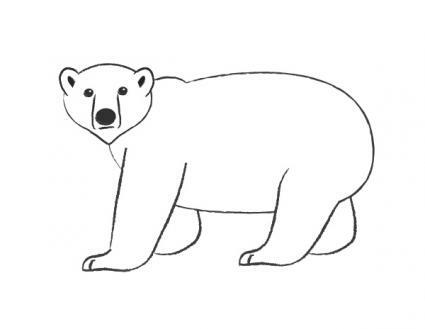 The narrative guides you from drawing the first basic shapes to finally embellishing your polar bear. 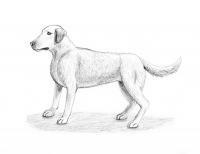 Using simple shapes, you can learn to draw a realistic looking dog. You can use the instructions to draw almost any breed of dog by changing color, head shape, ears, and nose length. Once you get the basics down, you may want to try drawing your own dog. 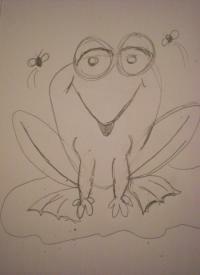 This fun cartoon frog can be completed in eight easy steps. The frog's happy personality is apparent from the facial details. You can embellish your frog with spots and by using a wide variety of colors. Dragons are always popular in literature, film, and game play. This article provides step-by-step instructions for drawing a dragon in the European tradition. Because a dragon is an imaginary creature, you have a lot of leeway in modifying and embellishing your drawing. 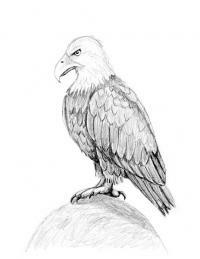 A realistic drawing of this regal bird can be achieved in thirteen detailed steps. These instructions are suitable for older children or for adults. Drawing a person is relatively easy once you understand body proportions. This drawing of a woman will give you the basics of figure drawing that can then be applied to drawing men and children of both sexes. Drawing a human face can be a bit challenging. Learning how facial features relate to each other and how they are proportioned will make it much easier to produce a successful drawing. 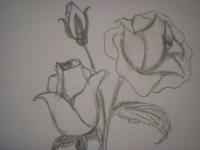 This tutorial shows you how to draw two realistic roses and a rose bud in a vase. Shading and other details let you create realistic looking roses. You can use roses to decorate greeting cards or other stationery. For children, learning to draw is both entertaining and instructional. By the time people reach adulthood, drawing can be relaxing and a good way to express yourself. These easy drawings will entertain children while developing their eye-hand coordination. 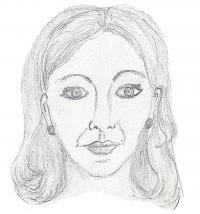 Adults who want to draw will find these easy projects stepping stones to more complex drawings.